Winter has been long here in the Midwest so we’ve had lots of time to work on developing some unique and exciting bracelet kits. We are also stoked about our new corresponding instructional videos to help you with your individual projects. 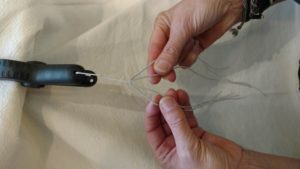 Whether you are buying a kit or want to purchase pewter thread or other materials individually, our videos will help you measure out the proper length of materials for different braid styles without the waste. Our Four Strand Double Braid Bracelet kit provides the materials to create this beautiful dense weave. If you have purchased our original Saami Inspired Double Braid Bracelet Kit and are ready to be challenged this is a great project to expand your skills. 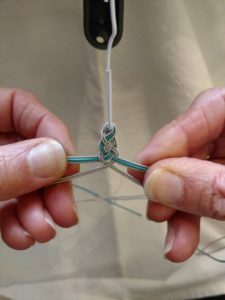 The Four Strand Double Braid method is also an introduction to the myriad design possibilities you can explore. 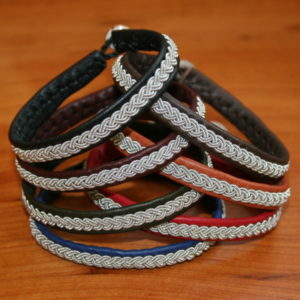 Try substituting one of your pewter thread strands with our 1.00 mm round colored leather cord. 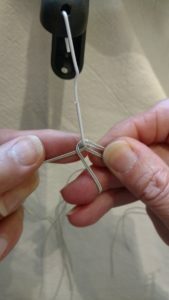 You can also try round silk cord, ribbon or even beads! If you find styles online and need help figuring out what to order in terms of length for particular braids don’t hesitate to contact me. I’m happy to answer your questions so please leave me a comment and if you haven’t subscribed, please do and get 20% off your first order! Are Folk Schools the Best Way to Learn? We have survived driving in the snow and rain to host our classes this past winter and I am excited to announce our Sami Inspired Bracelet class schedule for 2019. The number one question I get asked by my students is ‘where else do you teach?’. We have taught classes for weaving and textile guilds, conferences, private parties, museums, folk schools and even Scandinavian specialty shops. The number two question posed by my some of my students is ‘what is a folk school?’. I love this question because some of my skills are the direct result of having attended a folk school myself. The folk school model is a tradition associated with Scandinavian countries where life long learning is part of the culture. That means folks don’t stop taking classes after they’re out of school. Discovering and building things by hand regardless of age or gender strengthens community and brings people from all walks of life together in an environment where everyone is free to be creative. Folk schools also give people an opportunity to work with their hands and try something new or hone skills they might already have. Folk schools keep the legacy of craft traditions alive by offering classes in a relaxed environment with talented local and regional instructors as well as international teachers. I was lucky enough to attend Raulandsakadimiet in Rauland Telemark Norway in order to learn traditional filigree and metalworking techniques. However, you don’t have to travel to Norway (although it’s pretty sweet!) 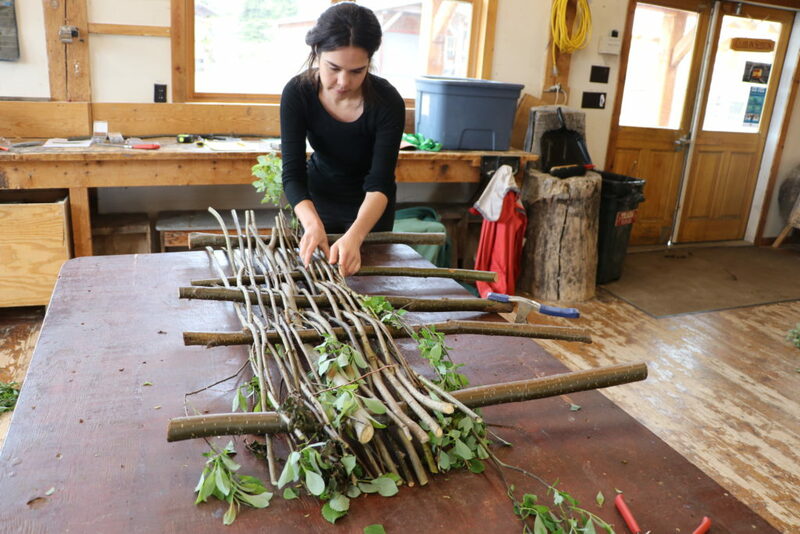 in order to experience a folk school environment. For example, we’ve been teaching at the North House Folk School in Grand Marais, MN for over 16 years and it is the first established folk school in Minnesota to offer classes celebrating Northern European craft. 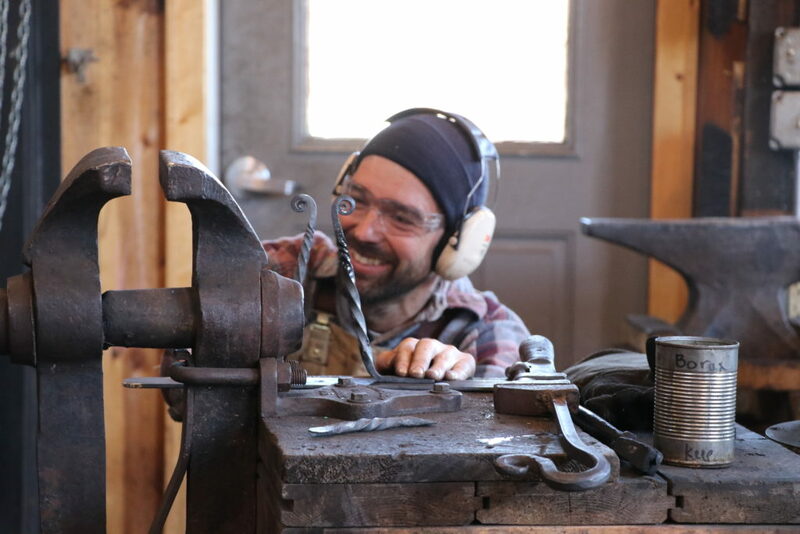 You can take a variety of classes including blacksmithing, silversmithing, boat building and timber framing as well as a variety of jewelry classes. 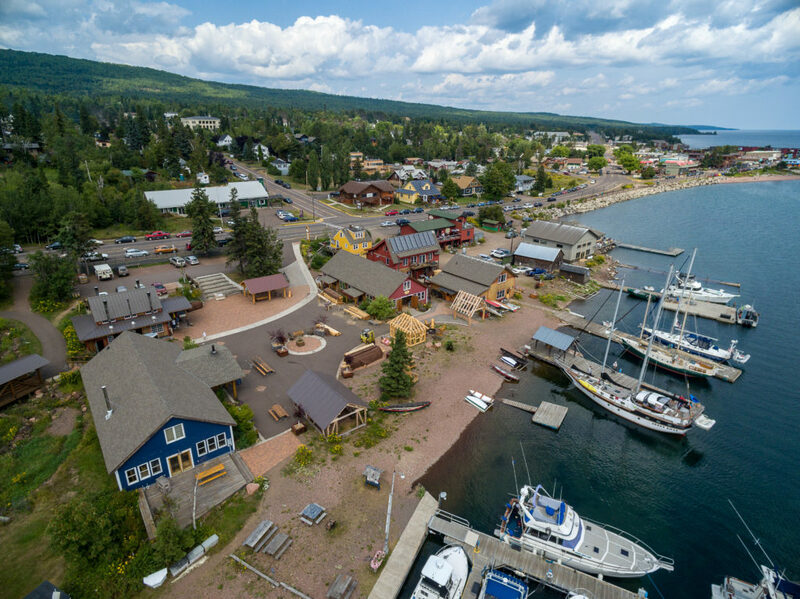 The campus is right on the shores of Lake Superior and the view from many of the classrooms is stunning. This is the first folk school where I began teaching Sami Inspired Bracelet classes. Since then we’ve taught at a variety of venues where we are invited to teach annually. Our current schedule includes some new venues so you have additional dates to choose from if you are busy planning your upcoming summer and fall getaway. The Marine Mills Folk School located in Marine on St. Croix, MN is a brand new facility. 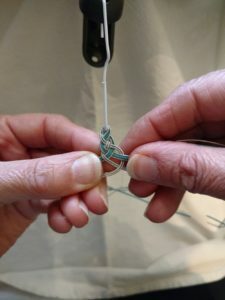 Their mission is ‘to support and strengthen connections by inviting all people to discover the joy of creating together through traditional arts and crafts’’ I was thrilled they contacted me to be their first Sami Inspired Bracelet class instructor and we are already busy planning additional classes and dates for 2020. My students and I also shared and exchanged several resource books on the Sami culture for further reading and information. So if you are looking to learn something new in a low stress, hands-on class with like minded people interested in traditional crafts, the folk school environment is for you! Check out our class schedule for 2019 and contact me with any questions you may have. 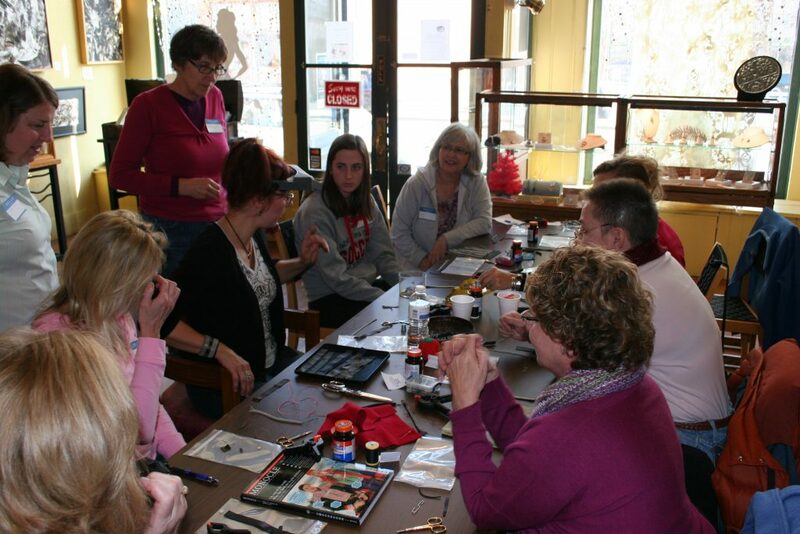 Classes fill quickly especially in the summer so register at your preferred venue early. Want to be on our list for upcoming classes, news, events and offers? Subscribe now and in addition to being on our mailing list, enjoy an awesome 20% off our products. International award winning jewelry designer Liz Bucheit is the recipient of the Grand Award in the Wire Category of The Metal Jewelry Artistry Awards competition. Designed to draw attention to metal and wire artistry, this juried competition sponsored by Bead & Button magazine and FacetJewelry.com drew entries from around the world. 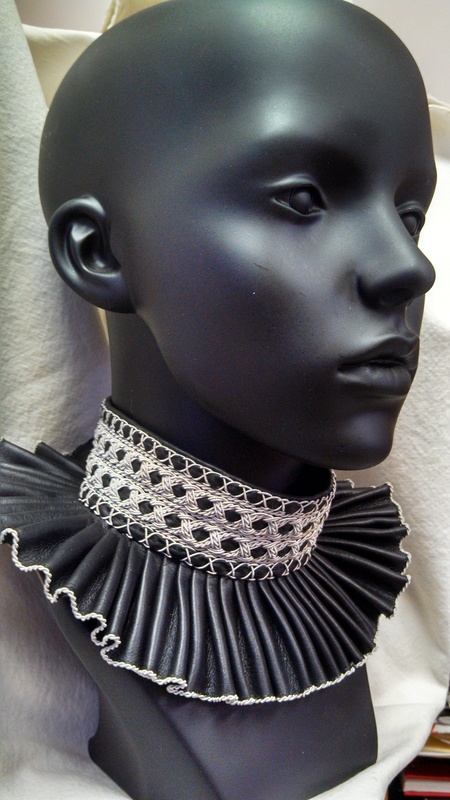 Bucheit’s “Saami Inspired Ruff Collar” entry was created using pewter braided thread and reindeer hide. 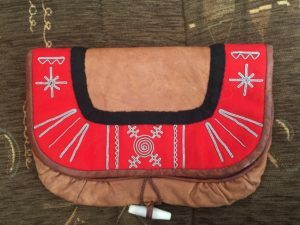 Bucheit keeps close ties to her Scandinavian heritage and credits her inspiration to her interest in traditional crafts of the Saami culture, Scandinavia’s indigenous people. All finalists were invited to send their pieces, which were displayed throughout the weekend at the 2018 Bead & Button Show in Milwaukee, Wisconsin. 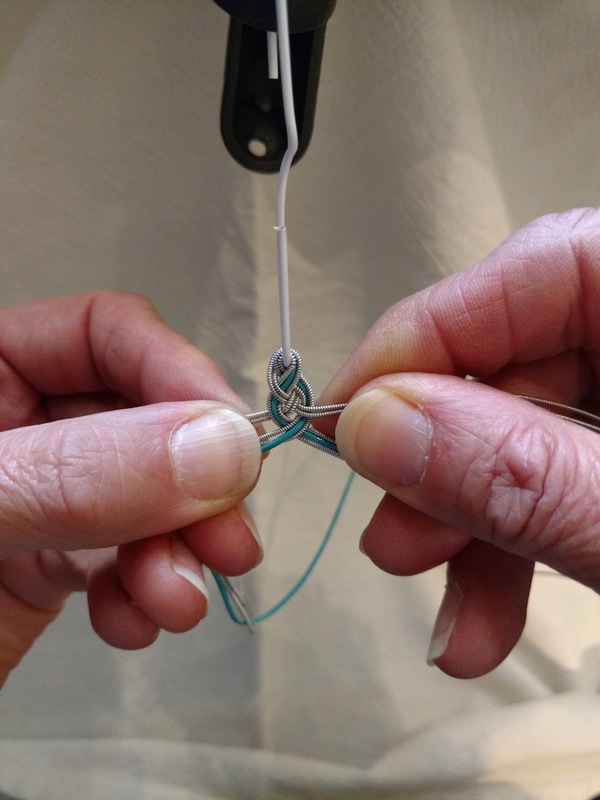 Liz Bucheit is an active speaker on the topic of Norwegian filigree work and conducts workshops and classes in jewelry design and fabrication. She co-owns and operates Crown Trout Jewelers in Lanesboro, MN with partner and fellow goldsmith Michael Seiler. Visit www.crowntrout.com. Happy spring everyone! We are excited to add some new products to our ever growing inventory of exceptional products. Want to use a bit of “spring” when weaving and braiding? 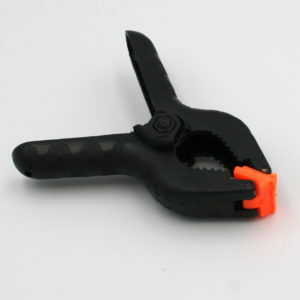 Try our lightweight plastic crafting clamp. This is a handy tool if you like to craft on the go. The handles have holes on each of the handle ends that are perfect for hooking your paper clip. This is a great help so you can maintain even tension while you are working your pewter thread. The plastic pads on the clamp jaws won’t mar your surface. I’ve even used this clamp on international flights when I’ve wanted to work on my projects since I can attach it to just about anything until the “captain requests you to return your table tray to its upright position”! 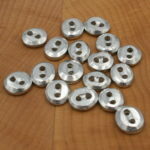 Try some different button variations with our new antler inspired pewter buttons. These buttons are metal versions of the traditional reindeer antler variety and are one of a kind. Use them to add a “surprise” sparkle and polish to your creations. We’ve got lots of exciting things happening with class offerings and private parties so make sure to check out our class calendar or call us for information on booking a personal venue or reserving a date for our Lanesboro, MN studio. If you haven’t subscribed to the blog please do and receive a sweet 20% off coupon on your order! Please share photos and feedback about your projects on our Saami Inspired Crafts Facebook Page. We’d love to see your creations! 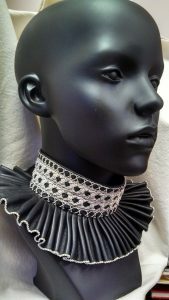 You’re Going to Love This…..
We are always looking for unique and unusual items to accentuate your designs. Recently our client Paula inquired about the tiny silver beads she was seeing on several bracelet designs online. 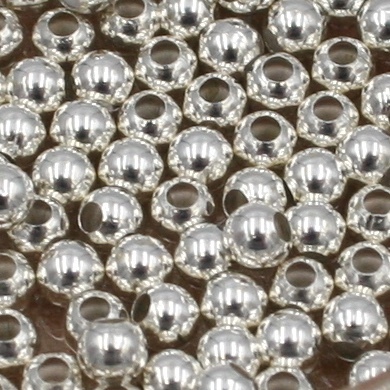 After a few emails we followed up on her advice to add silver beads to our product listings and voilá! They are now available. Saamisupplies is proud to offer Sterling Silver 3.00mm beads in packages of 100. Use these beautiful high polished beads to accent your favorite bracelet designs. Manufactured exclusively for saamisupplies these sparkling beads provide an attractive contrast to the soft white of our 0.35mm pewter thread. 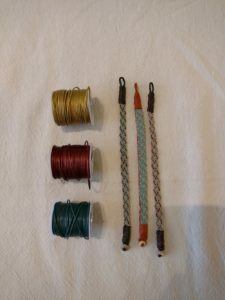 Integrate them into your braids or sew them onto your projects separately. And since we’re talking materials, let’s talk about one of the hardest working tools of the craft. Now you can purchase No. 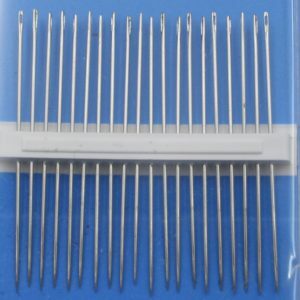 10 round needles in packages of 20. 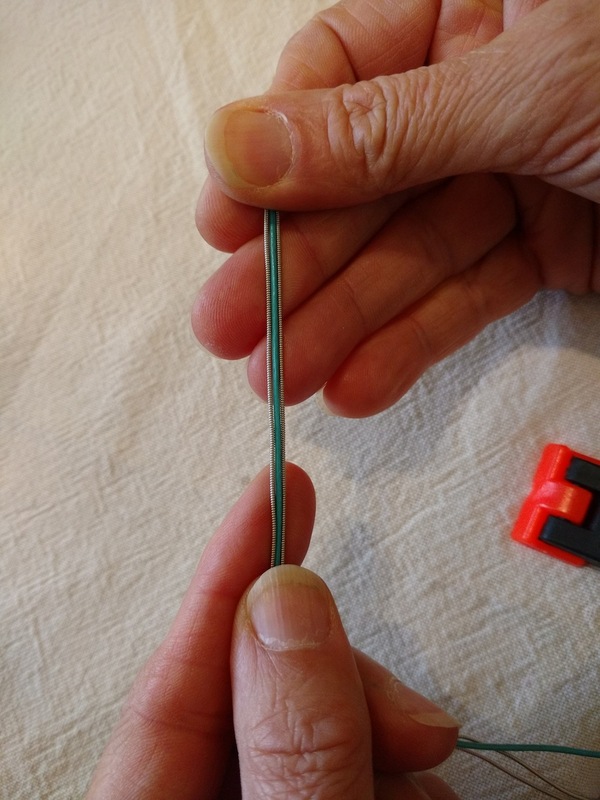 These high quality German manufactured needles are perfect for sewing finished braids to your leather bracelets and necklaces. 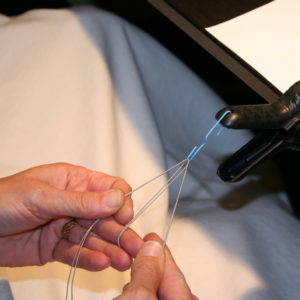 Use these sharps with transparent or cotton thread. The diameter of this needle is ideal when separating braid sections during stitching. 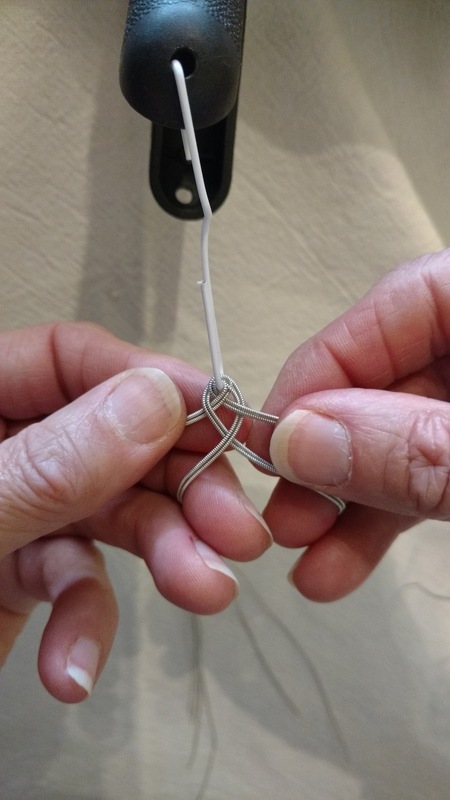 *Remember to only use “sharps” when sewing your braid to your leather. Do not use a leather needle when sewing braids as it will cut the pewter thread very quickly! These are just a few examples of new products we will be adding to the website in the coming weeks so we are excited and curious to know what our clients and students are creating! Let us know if there are other items you would like to see us carry. 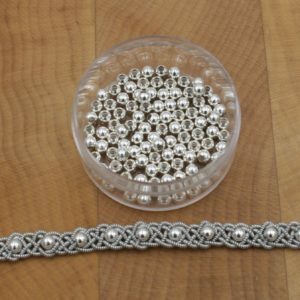 We love pewter thread for the distinct and unique properties that make it so wonderful to braid and weave when creating bracelets and necklaces. The coiled thread is soft and holds its shape after years of wear. However, did you know that the use of coiled thread to decorate clothing and everyday items has been around for centuries? Small fragments of gold coiled thread have been found in Viking graves outside of Uppsala dating back to almost 3,000 years ago. 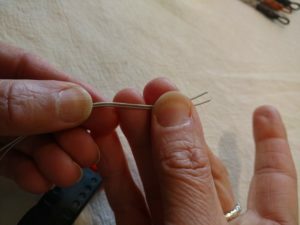 Historically the art of sewing silver, gold and even bronze thread to cloth and leather can be found around the world. There are examples to be found throughout a myriad of cultures including textiles and objects from China, Japan and India. 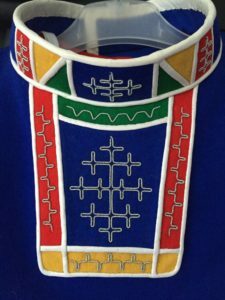 The Saami people of Norway, Sweden, Finland and Russia have been using tin thread embroidery since the 1600’s and the designs and patterns are specific and unique to the many Saami groups within the culture. In particular, tin thread embroidery is used to adorn the many styles of traditional Saami clothing called gákti. Here are some examples from my Pinterest page. 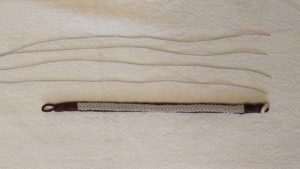 Sadly, tin thread embroidery almost disappeared in the 1800’s when Saami groups were being forced to assimilate to modern Norwegian and Swedish culture. I just finished watching the film “Sámi Blood” this past week and I highly recommend it to anyone who would like to know more about this period. Here’s a link to some wonderful books about Sámi culture. Stay tuned for my next blog where I’ll show some different and creative ways to use tin thread. Don’t forget to subscribe so you can enjoy firsthand new kits, techniques, specials and discounts! There are so many features of this craft that are unique. 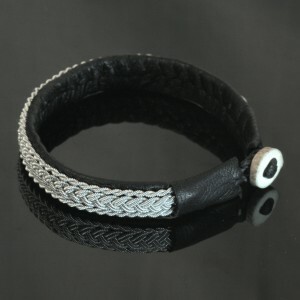 Some people are specifically attracted to the intricate braiding and hand stitching that go into a bracelet or necklace. 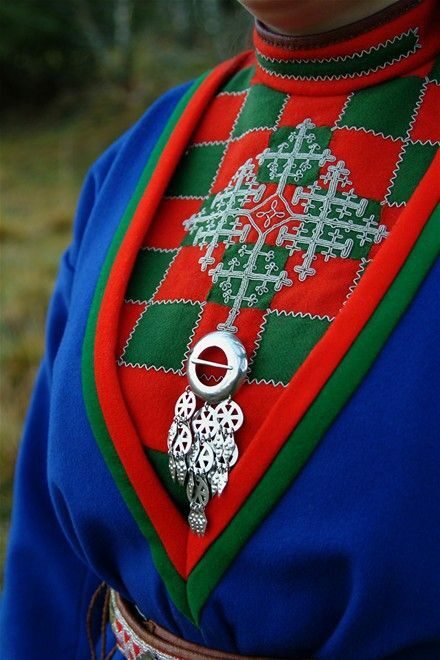 Other folks want to identify appreciation for their Scandinavian and or Saami roots by wearing tin thread jewelry to show cultural pride. But did you know the materials used in this tradition also appeal to people who can’t wear regular jewelry? We all have friends and clients who have jewelry allergies and these poor souls are pretty limited as to what they can wear even if they love silver and gold. The most common allergy is related to the nickel content in sterling silver jewelry. I’ve even had clients who react badly to wearing gold jewelry based on prescriptions they may be taking for a chronic illness or condition. However, I’ve had people who are attracted to these bracelet styles purely on the premise that they are (for the most part) hypoallergenic! Traditionally the Saami people of Norway, Sweden, Finland and Russia tanned their own reindeer skins using bark from a variety of trees. Our black reindeer hide is organically dyed using the bark from the alder tree. Our coiled tin thread is comprised of 96% tin, 4% silver and is nickel free. Reindeer antler buttons and cord take the place of metal clasps on regular bracelets so no metal is touching the wearer’s skin. So, if you have a friend, family member or client who always says ‘I love jewelry but I’m allergic to metal!’ introduce them to the special beauty and wearability of these handcrafted bracelets. Our Saami Inspired Bracelet Kits also come in a variety of colors for “color picky” palettes! Click the photo for the kit info! 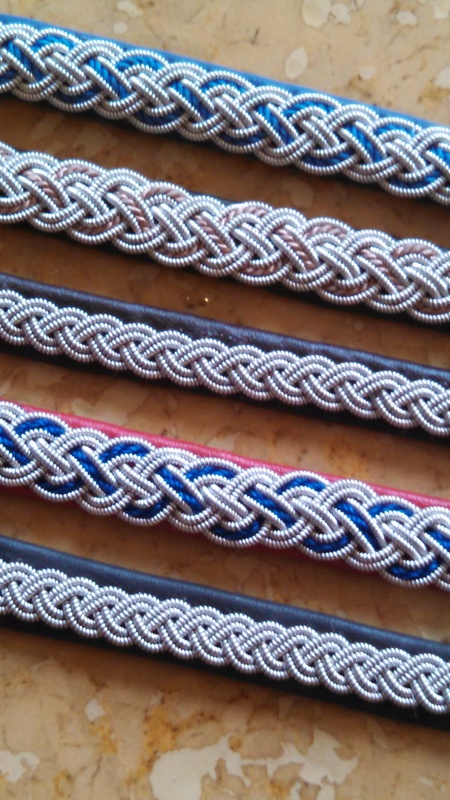 Add some color to your pewter thread bracelets with colored cord. 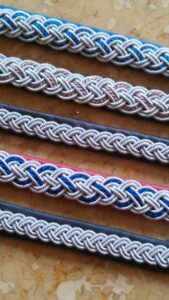 Join our blog and add some color to your pewter thread bracelets. I love the look of traditional pewter thread braids but sometimes I long for a little variation to really make the materials pop. I usually wear several bracelets at a time and often I can color coordinate my selection with what I’m wearing. 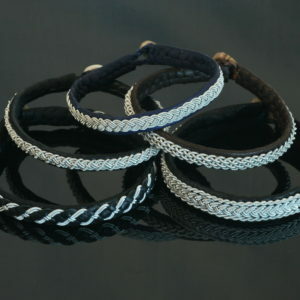 We recently added a rich rainbow of 1.00mm round cowhide leather cord to our inventory at saamisupplies.com. Follow the steps in this project to brighten you bracelets and your day. 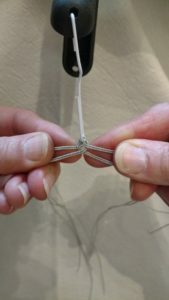 Begin by cutting 4 pieces of 0.35mm pewter thread approximately 18 inches long each. Cut one 18 inch section of 1.00mm round leather cord. 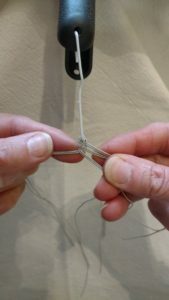 Take 2 pieces of pewter thread and place a strand on either side of your leather cord. These will be your borders. 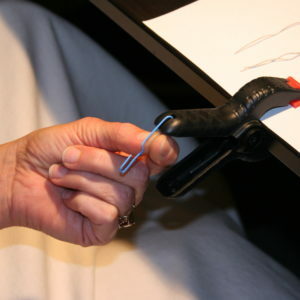 Double the entire piece in half on the end of an open paper clip attached to your table clamp. Make sure to keep everything flat. It’s a bit of a challenge so don’t be discouraged if it seems like you need another set of hands to get everything positioned properly. 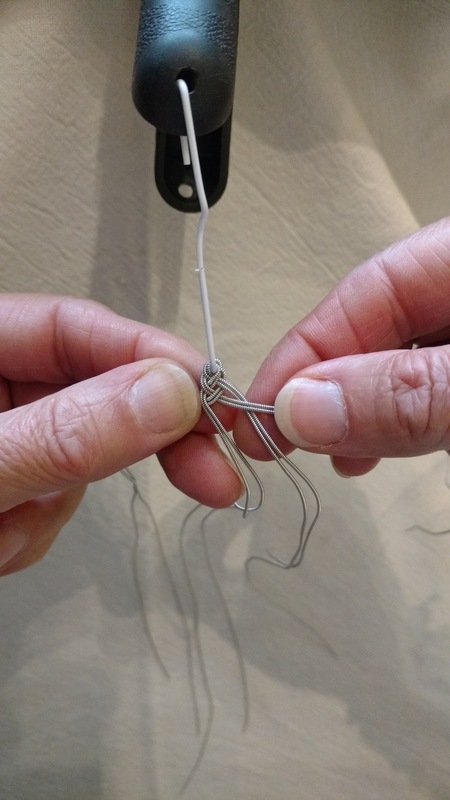 Double your remaining 2 strands of pewter thread over the end of the paper clip and you are ready to start braiding. 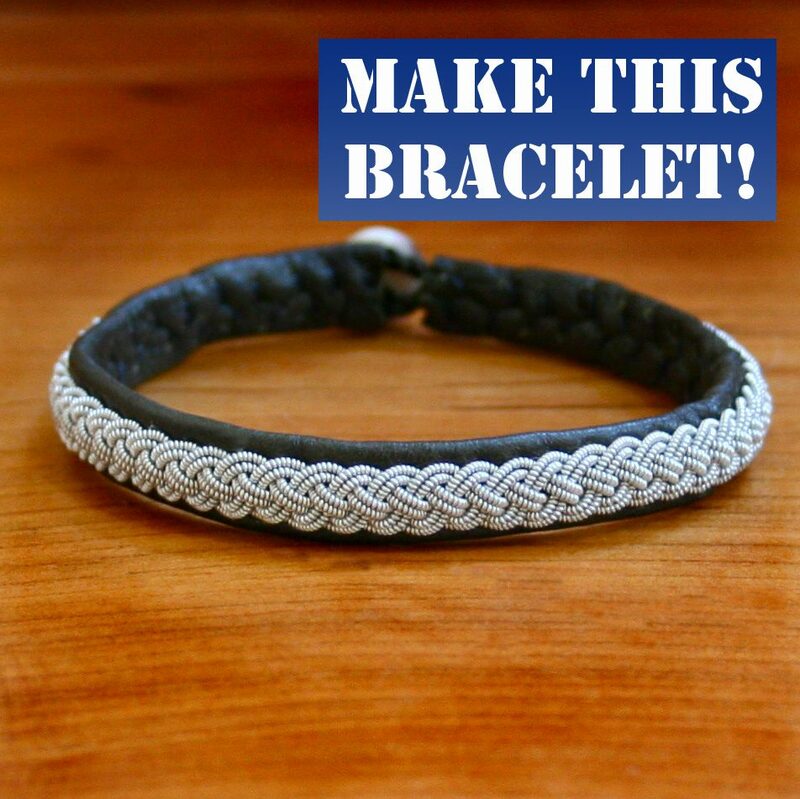 Proceed to braid as you would for the double four-strand pewter thread bracelet project in our previous post this past week. You should end up with a 6.5 – 6.75 inch finished braid. 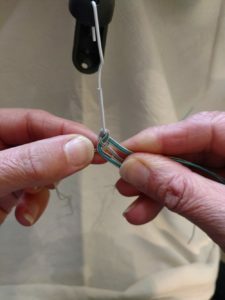 You can sew the braid to a leather strip at this point or simply cap the end with a button and loop for a different look. It’s hard to believe that the addition of color can make this braid look so different. 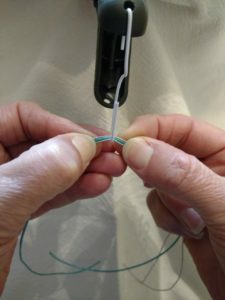 You can also try using round polyester cord or silk beading cord for variety. I’ve had students use flat strips of suede or reindeer hide and even ribbon! Remember to use materials at least 1.00mm wide so your material doesn’t disappear between the sections of your pewter thread. Don’t forget to join our blog and stay tuned for another exciting project next week. Visit www.saamisupplies.com for everything you need to fuel your creativity! Hey everyone! I’ve gotten lots of requests over the past few weeks regarding the steps on how to create a double four-strand braid for our pewter thread and Saami inspired folks. This is a beautiful dense Irish looking pattern that takes a bit of practice. 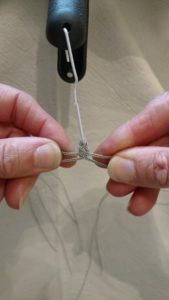 To start you will need 4 strands of 0.35mm pewter thread approximately 20″ long each. 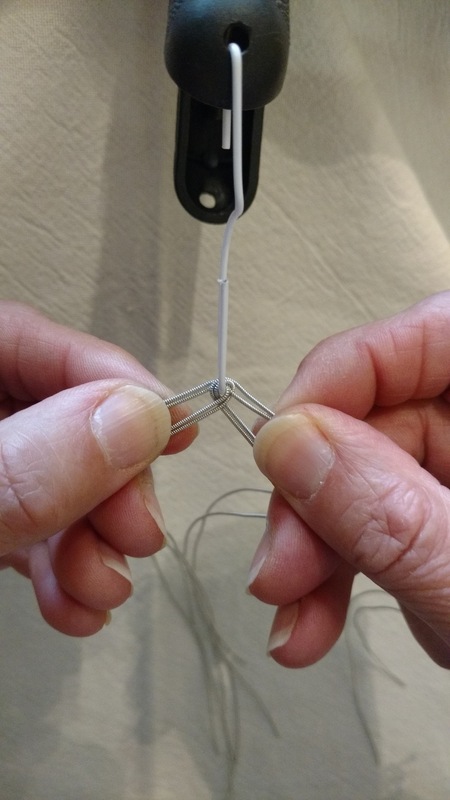 Double your strands in half over the hook of your paper clip and divide into 4 sections with two strands in each section. Don’t worry if this looks a little wonky to start with. Take your two sections in the middle and cross the right section over the left section. and pull taut. Take the outermost section on your left and cross it over the nearest section and pull over to the right. Pull taut. Take the outermost section on your right and cross it under the nearest section and pull over the left. 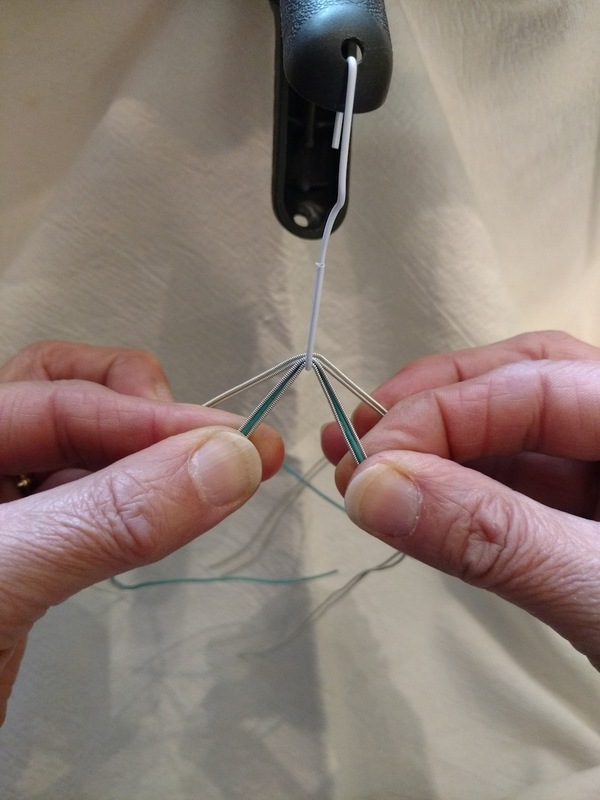 Pull both sections firmly to either side and you should begin to see the pattern emerging. Depending on how tightly you braid you should end up with a finished braid approximately 6.5 to 6.75 inches long. Remember to figure that a good 0.25 inch on either end will be hidden in the body of your bracelet if you are going to sew the braid to a leather strip. 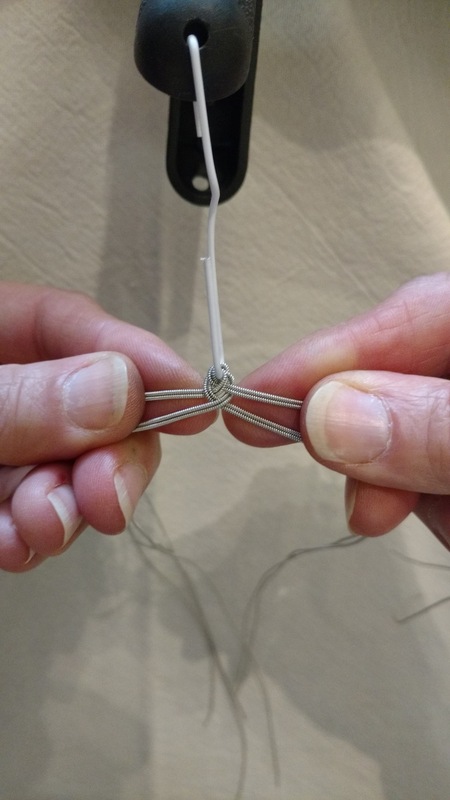 These proportions work well for a 7 inch finished bracelet on reindeer hide so if you want a longer braid increase the length of your strands by 2 inches (20 – 22 inches). Again, depending on the how tightly you weave your strands will determine the overall finished length of the braid. Strands measuring 22 inches in length should yield you a finished braid measuring approximately 7.7 to 8 inches long. Good luck and I am always happy to answer questions and help in any way I can. 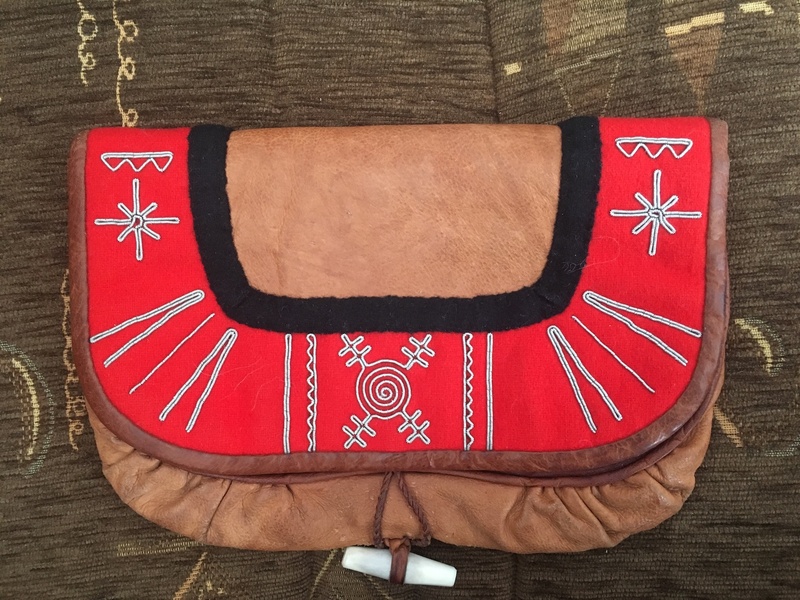 Don’t forget to share your projects on our Saami Inspired Facebook Page. Thanks for following our blog and stay tuned for a new project post May 6th where we’ll add a little color to your life. 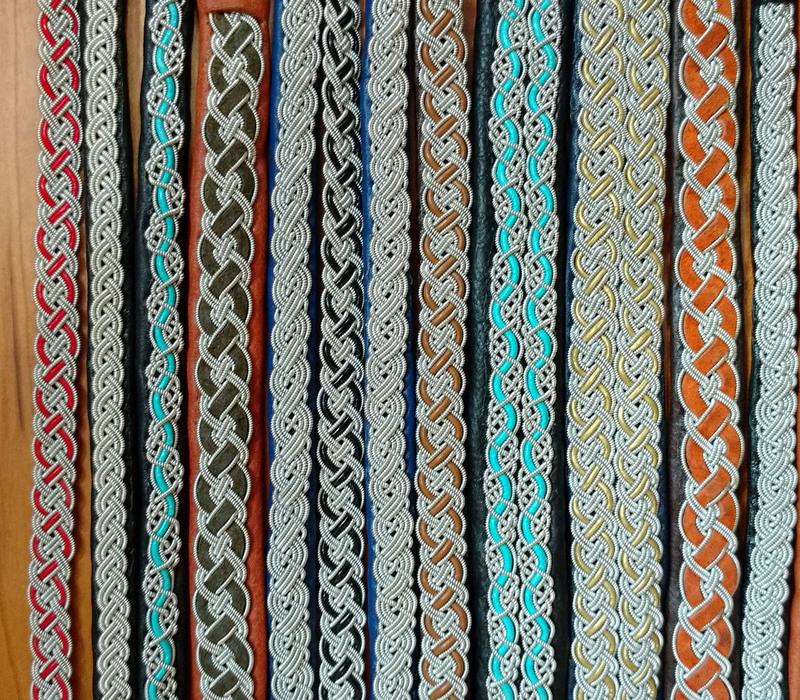 I don’t know about you but sometimes I can get a little crazy when it comes to all the different variations of braids that are possible for my bracelets. 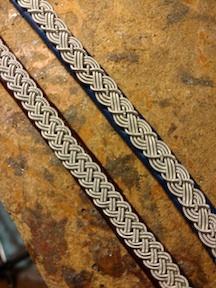 For example, I’m working on the two bracelets pictured below which are double strand, four braid weaves. They are essentially the same except for the division of strand groupings. 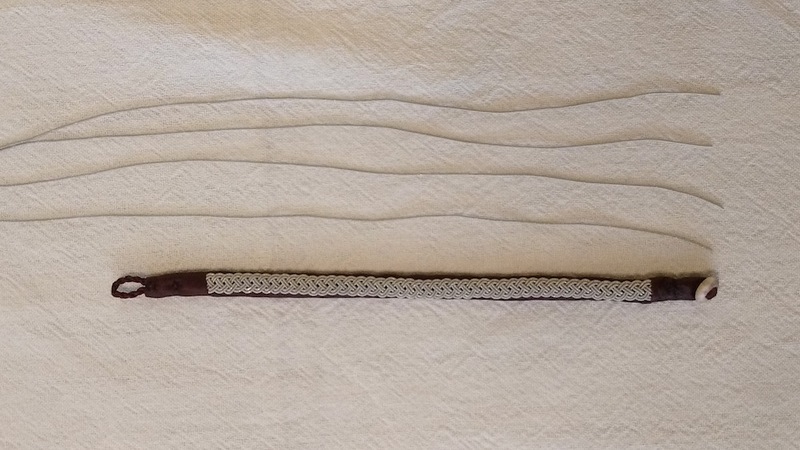 In the first picture on the left, the braid on the left (“dubbel fyrflata”) uses around 6 feet of 0.35mm tin thread divided into 4 sections and doubled over for a 6.5 inch finished braid. The style on the right uses 3 strands at 18.5 inches each and 1 strand at 21 inches doubled over for a 6.5 inch finished braid. It’s all in how you divide up the strand groups. 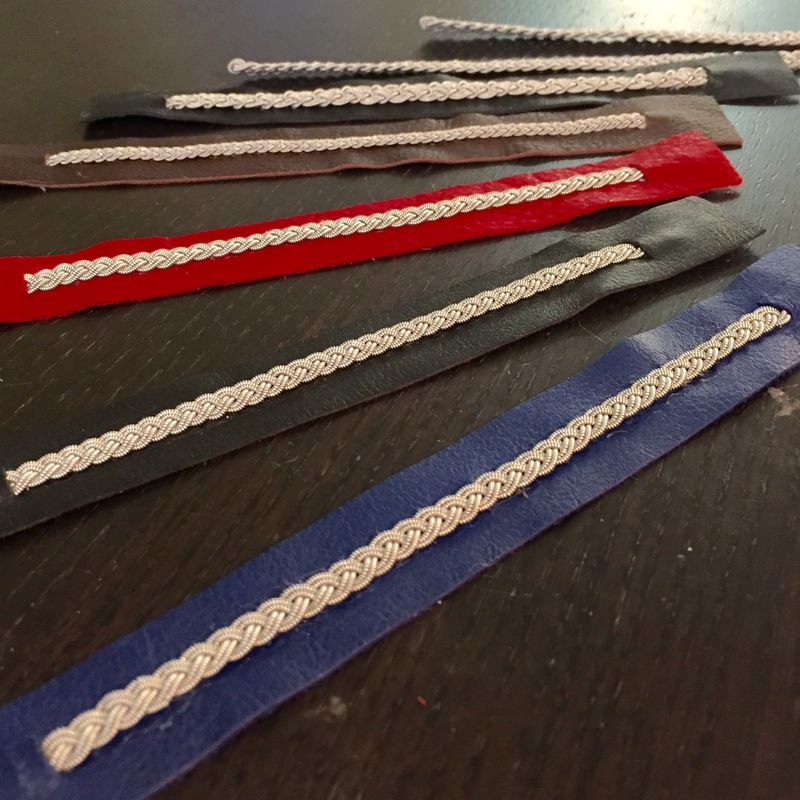 Stay tuned for some examples where we combine leather, beads, silk cord and fish leather into the braid!